The shells in Sitting In Situ are seashells and fossils both. 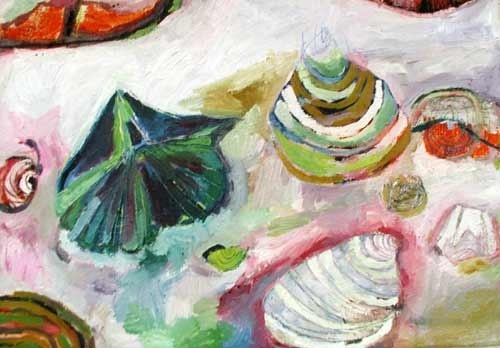 It is the nature of seashells to move with the tides of the sea or be found and collected and travel around that way. It is the nature of fossils to be fixed in place or buried. "In Situ" means "in place" and is the term used by paleontologists to describe a fossil that is still in it's natural location.